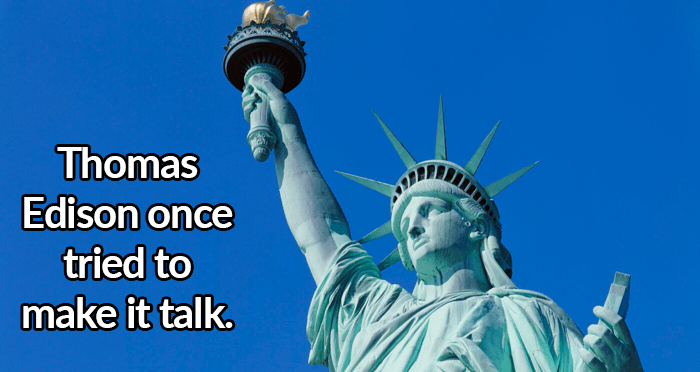 From its original color to its true name, these Statue of Liberty facts will leave even the history buffs surprised. The statue weighs a whopping 450,000 pounds. 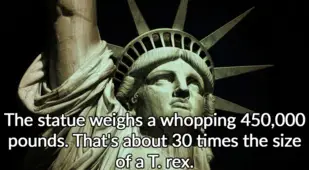 That's about 30 times the size of a T. rex. 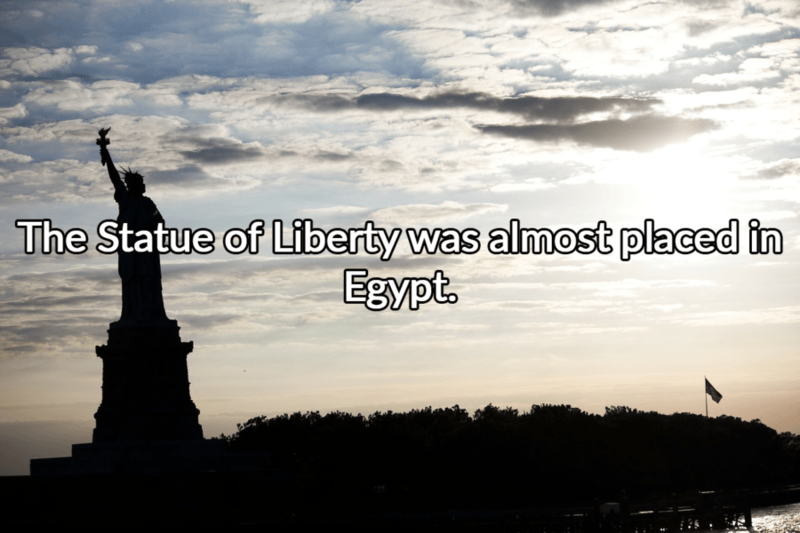 The Statue of Liberty was almost placed in Egypt. 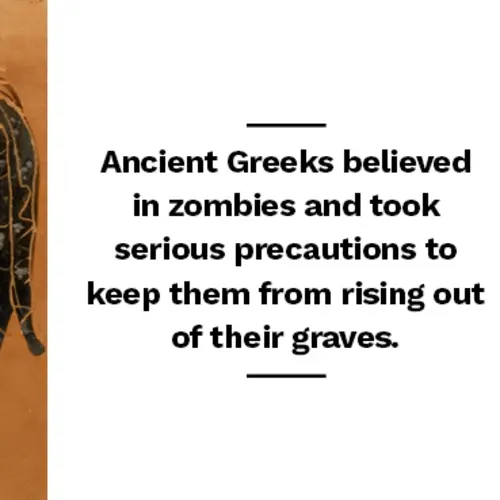 The designer, Frédéric Auguste Bartholdi, proposed building a giant statue there for the inauguration of the Suez Canal called "Egypt Carrying the Light to Asia," but this never came to be. Bartholdi redesigned the plan into the Statue of Liberty. 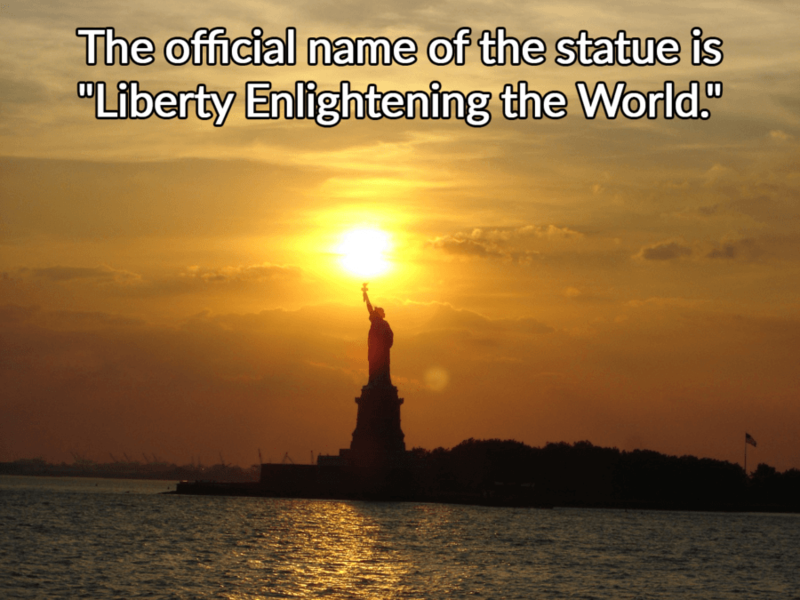 The official name of the statue is "Liberty Enlightening the World." Over time, this lengthy title was shortened in common parlance. 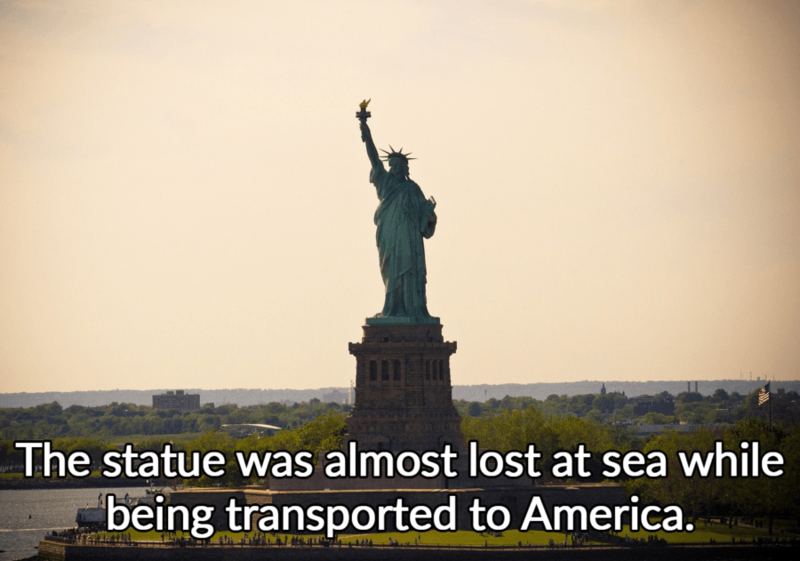 The statue was almost lost at sea while being transported to America. It was on board the French ship Isere and it encountered stormy weather near Portugal, sending it off course. In the 1980s, restorers discovered the statue had turned into a giant battery. This was due to galvanic corrosion, in which dissimilar metals are brought into electrical contact under water. In the statue's case, moisture was trapped between the copper skin and the iron frameworks. Thomas Edison tried to make it talk. In 1878, he announced plans (that obviously never came to fruition) to make a giant phonograph to place inside the statue. 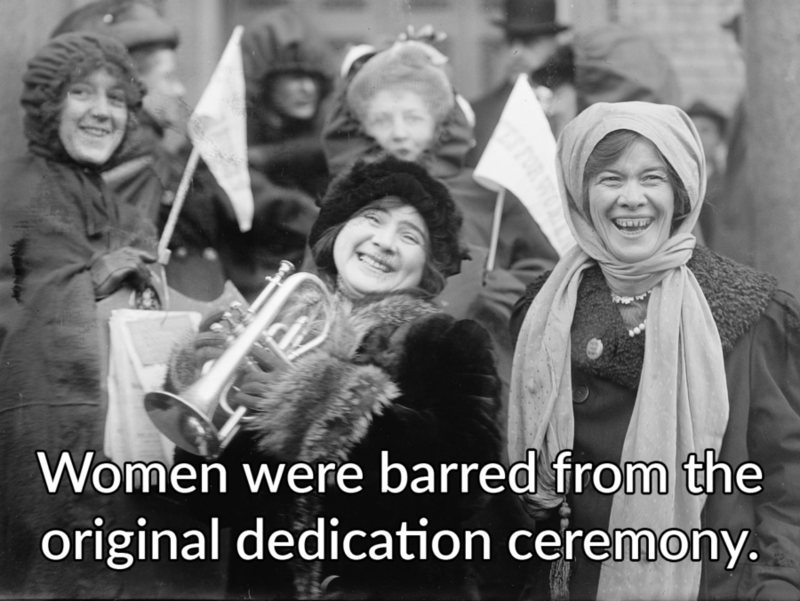 This would have enabled it to give speeches that could be heard throughout New York. The statue's head is misaligned by two feet. The issue was discovered during the restoration of the statue before its 100th anniversary in 1986. Two people have successfully committed suicide by jumping off the statue. 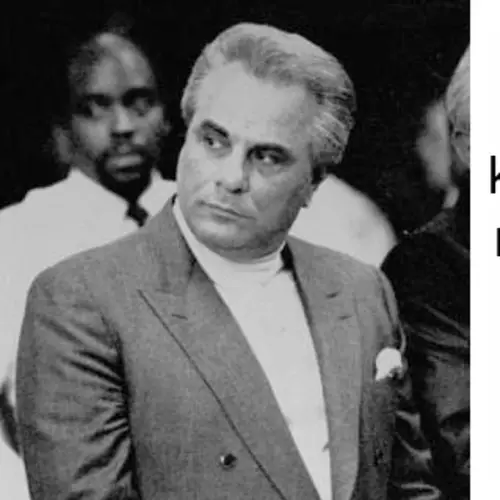 The deaths occurred 68 years apart, one in 1929 and the other in 1997. Gustave Eiffel, the man responsible for designing the Eiffel Tower, helped design the Statue of Liberty. Eiffel worked on the internal structural elements of the statue, with Bartholdi serving as the main designer. The Statue of Liberty postage stamp mistakenly shows the one in Las Vegas, not New York. The U.S. Postal Service selected the image from a stock photo agency without realizing that the photo featured a replica. The Freemasons have a plaque on the cornerstone of the statue. There are critics of this choice, but Bartholdi was a member of the Freemasons, and when the plaque was placed, the Grand Master of New York, William A. Brodie, declared that "No other organization has done more to promote liberty and to liberate men from the chains of ignorance and tyranny than Freemasonry." Despite the statue's immense size, its copper skin is barely 1/16 of an inch thick. If winds reach speeds of 50 mph, the statue can sway up to three inches. The torch can sway even farther — up to six inches. Both Boston and Philadelphia wanted the statue to be built in their cities. New York was having trouble raising the money for it and both cities offered to pay full price. In the end, New York was able to raise the funds, and Lady Liberty has called the Big Apple home ever since. The 7 points of her crown symbolize the 7 seas and the 7 continents — as well as the rays of the sun. The statue actually has broken chains at its feet, and its right foot is raised to symbolize moving away from oppression. The U.S. abolished slavery, which inspired Bartholdi in the first place, just 21 years before the statue's dedication. The huge statue is a structure of choice for lightning strikes due to her conductive material and height. The statue is two and a half times taller than Christ the Redeemer. Lady Liberty looms at 305 feet, while Brazil's Christ the Redeemer stands 124.5 feet tall. The face of the statue alone is more than eight feet tall. Just its nose accounts for four feet and six inches of that height. The steadfast statue survived 2012's Hurricane Sandy without any damage. However, both Liberty and Ellis islands were closed for a time after the giant storm. The statue was damaged by German saboteurs during World War I. Michael Kristoff, along with two other German spies, are believed to have blown up a munitions stash in 1916 on nearby Black Tom Island. Shrapnel pierced the statue, causing about $100,000 worth of damage. The Statue of Liberty was originally going to wear a pileus, a cap given to emancipated slaves in Rome. Instead, Bartholdi used a diadem, or crown. Only 240 people are allowed to visit the crown every day. 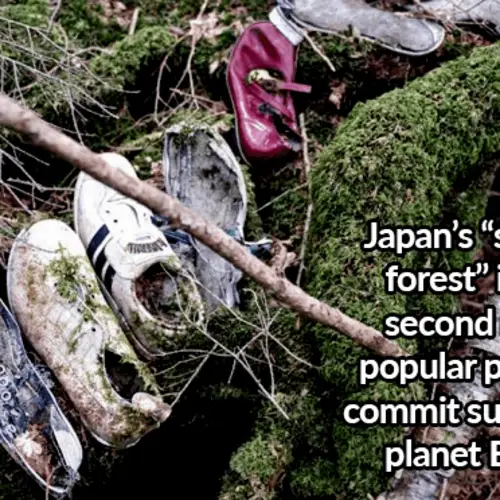 This policy was implemented after the events of Sept. 11, 2001, when evacuation procedures became a high priority. 300 types of hammers were used to shape the copper for the statue. The statue was originally meant to be taller. The pedestal was first designed to be 114 feet tall. This measurement was scaled back to 89 feet to cut construction costs. The Statue of Liberty used to be reddish-brown. The copper statue turned green from oxidation, a process that gives copper a green patina over time. On October 28, 1886, the day of its dedication, the Statue of Liberty stood proudly before a crowd of thousands in New York Harbor. From that day until now, the enormous robed woman has lifted her torch to the sky and welcomed outsiders to America. What else is there to know, really? 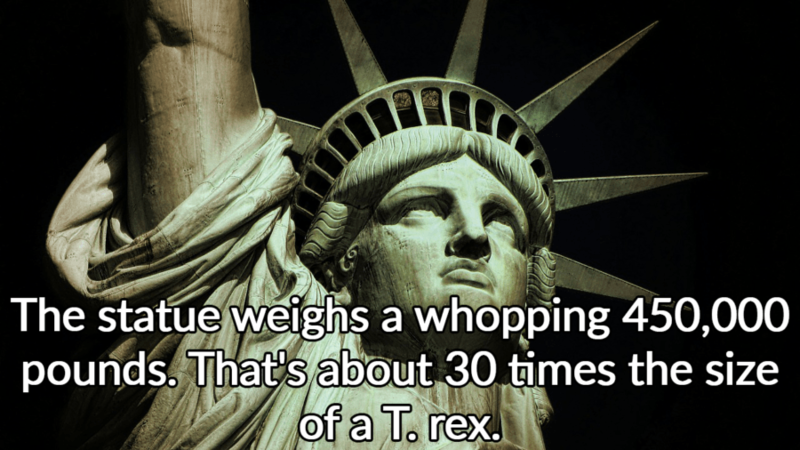 As any list of Statue of Liberty facts reveals, there's quite a lot more to the story actually. 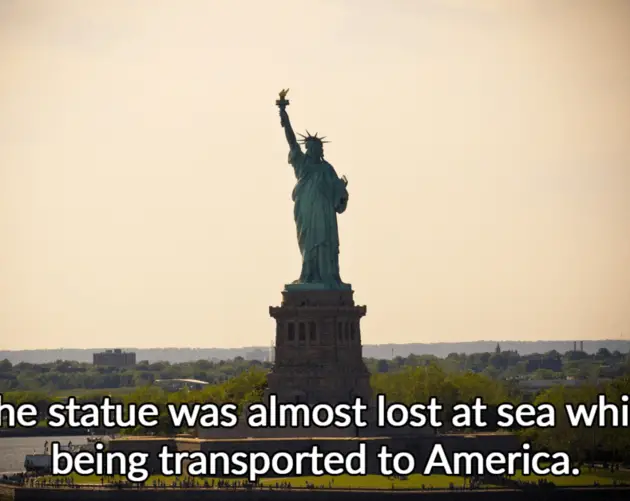 For starters, while many seem to believe that the statue was a gift from France to the U.S. in celebration of their alliance during the American Revolution, it's more accurate to say that it was a gift made possible by a single French sculptor, Frédéric Auguste Bartholdi, on behalf of his people for reasons that are more complicated. Bartholdi, inspired by anti-slavery activist Édouard René de Laboulaye, proposed the statue largely as a celebration of Union victory in the Civil War and the end of slavery. Hoping that leaders in his own country would adopt similar ideals of liberty, democracy, and freedom (as opposed to monarchy and empire), Bartholdi proposed the statue as a joint project between the two countries and secured support from enough prominent people on both sides of the Atlantic to eventually make it happen. But once the plan was a go, the Statue of Liberty's journey to completion was a bumpy one. It was almost built on another continent, purchased by two cities other than New York, and violently tossed about at sea before finally arriving in New York. And when the statue finally got to New York, it was a completely different color than it is now. Originally copper, then brown, and now green, the statue has changed over time due to oxidation. But though it's changed remarkably over the last 130 years, the Statue of Liberty's original message has remained consistent. 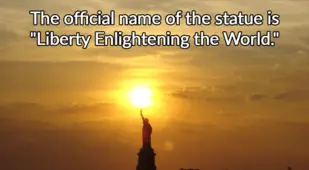 A welcoming symbol for the world's tired, its poor, and its huddled masses yearning to breathe free (as described in the Emma Lazarus poem "The New Colossus," emblazoned on the statue's pedestal), the statue of liberty continues to live up to its original name: Liberty Enlightening the World. 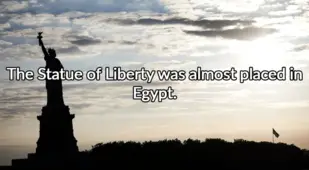 Discover more fascinating Statue of Liberty facts in the gallery above. After checking out the Statue of Liberty facts above, discover the most interesting facts about New York City. Then, have a look at facts about the Eiffel Tower that'll make you want to visit Paris right now.